"THIS COULD BE YOUR NEXT HOME!! 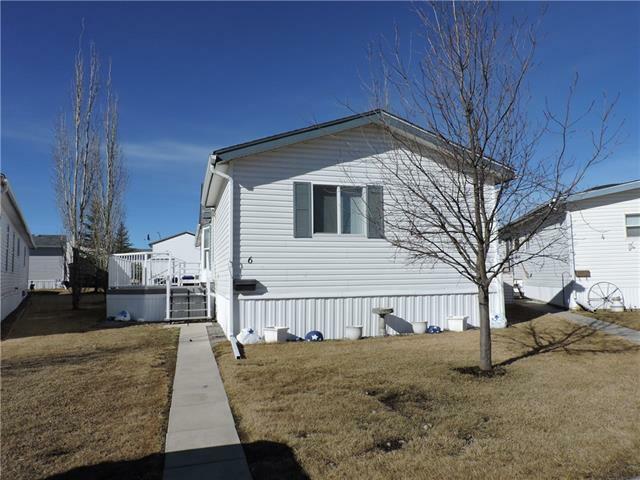 This 20'unit in the 45+ adult community of Silverlynx Park in Olds is 1500 sf & has a great floor plan. You will appreciated the large. bright kitchen which features plenty of counterspace and cabinets, a corner pantry and an island with sink and eating bar. The dining room has built in desk and the living room has a bay window & NEW CARPET. There is a spacious master bedroom with a large walk in closet, full ensuite & NEW CARPET. At the other end of this home there are two other bedrooms and a full bathroom. THERE IS NEW FLOORING IN THE FOYER & SELLER IS OFFERING A $2000 FLOORING ALLOWANCE TO COMPLETE THE REST. There is a low maintenance yard with composite deck and the roof was redone in March 2018. The wardrobe in the secondary bedroom is included. This is a great place to live if you are looking for low maintenance. The park fees include lawn mowing and snow removal. The park is very well maintained, is paved and has RV storage on site for a fee. COME FOR A LOOK TODAY!!"